GoShasta and City of Redding Active Transportation Plan | Kittelson & Associates, Inc. Welcome to the GoShasta and Redding Active Transportation Plan online map. 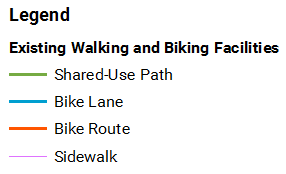 Share your ideas about how to make walking and biking better in the Shasta Region. Your input will directly inform the recommended projects and programs in the plans. For more information on the plan process, visit goshasta.org. Having trouble viewing or using the map? Please contact Keith Williams at kwilliams@srta.ca.gov with your comments.